I have thoroughly enjoyed the journey . here I am again to show you what I have been doing with some Green Tara goodies. just by adding tiny pieces of colour eg stamps /paper /fabric/ can be just what the page is needing. Try experimenting with this idea and you will be surprised to see how different the layout looks by adding or removing tiny pieces. Always move elements around the page until you are happy. Sometimes by adding a coloured brad, fills a tiny corner or edge to complete the page perfectly. 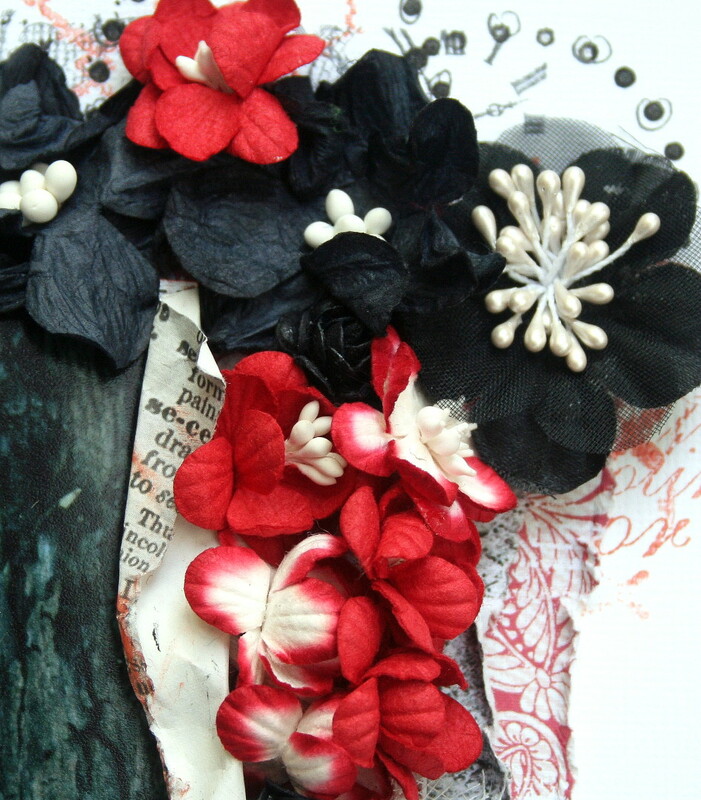 The flowers are poked under the layers adding dimension and interest . by separating the petals and just leaving myself with a smaller flower and the remaining sections of the flower will be used on another project, at a later time. Bazzill cardstock, Basic Grey & Authentique patterned papers, Imaginarium designs chipboard title. Thanks so much for popping by, and leaving me some love. Heather this is also one of my favourite colour combos and you've created an amazing layout for this special photo. I especially love the stamping. Wow Heather, definitely one of my favorite layouts of yours. You have showcased those blooms perfectly and I adore the stamped background! Just popped by to say a big "THANKS" for being our Guest DT for July Heather. Loooooove everything you did with our Green Tara goodies. This layout is totally awesome too. Love it. Another great LO Heather and thanks for the description! One of my dreams is to meet you in real life and get some scrapbooking lessons from you lol! 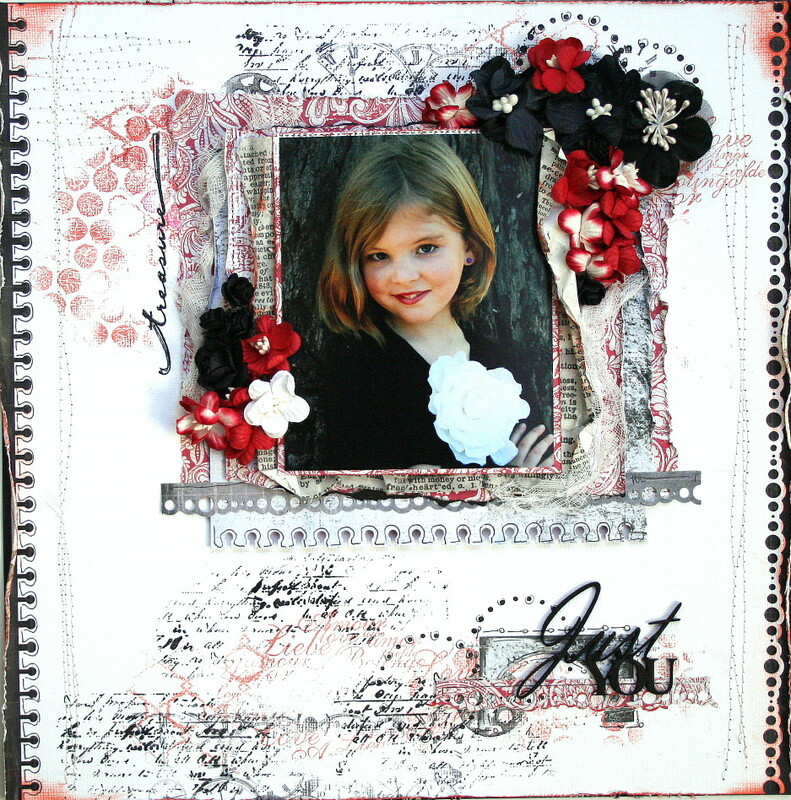 Great colours, I so agree and I love the layers of stamping and papers, it's what makes your LOs so gorgeous and arty! Sweet page cool layers and details and stiching stamping punching [no good english]and what not on your page. Oh as always this look marvellous! and thanks for the tips too.. I will try and remember them!! Love this color combo and the flowers look amazing! Adorei sua página... ficou linda demais! Wowwwwwwwwwwwwww! This is GORGEOUS Heather!! I love love love the colors, the flowers and loving that title!! Congrats on the GDT!!!! Absolutely stunning! Bold, wonderful...love the color combo and all the stamping! As usual a gorgeous layout!! love the combo of red and black wow!! she is a cutie!! Absolutelu gorgeous!! I love it! Love reading about your ideas of how you work, Heather. Thanks for sharing your design process for how you create these masterpieces! Hi Heather, thanks for visiting my blog (it was quite some time ago now). Thought I would stop by and look at your work. 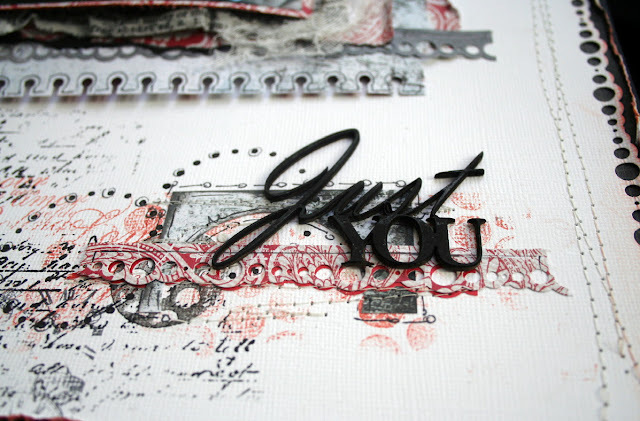 So glad I did - OMGOSH you attention to detail with all of your stamping on this layout is amazing - I adore your work. Stunning layout, Heather....love the striking colour combo. This colour combination is so so you and love the white space and the different punched edges. And all of that flower goodness alongside the stunning photo. Beautiful, simply beautiful! Congrats on your spot! Well deserved my friend! Great combo and lovely work! Heather this is stunning! You amaze me every time hon! Beautiful!